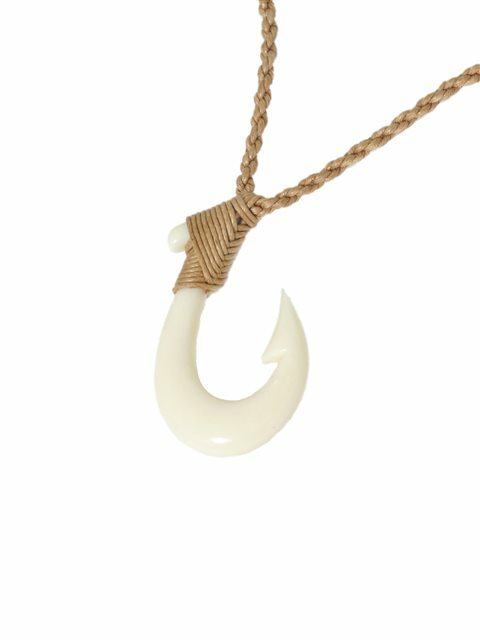 The fish hook is made from buffalo bone and braided string which is adjustable. This is a cool. Will gift it.